We love Super Heroes here at TechNorms, and who doesn’t? 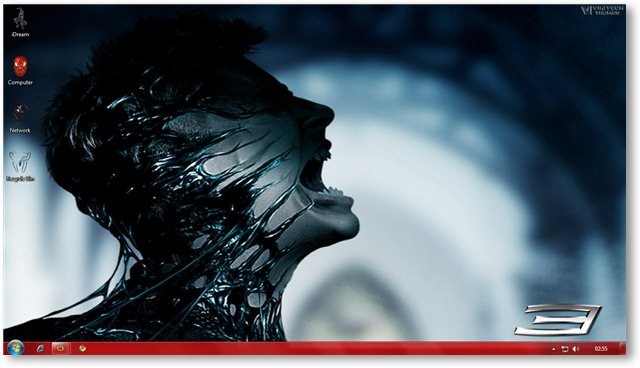 With so many cutting edge special effects in these movies, they are a natural attraction for technology lovers like us. We already have dedicated themes for Iron Man and Batman and now, your friendly neighborhood superhero is here! 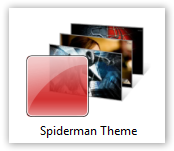 Today we are releasing the Spiderman theme. 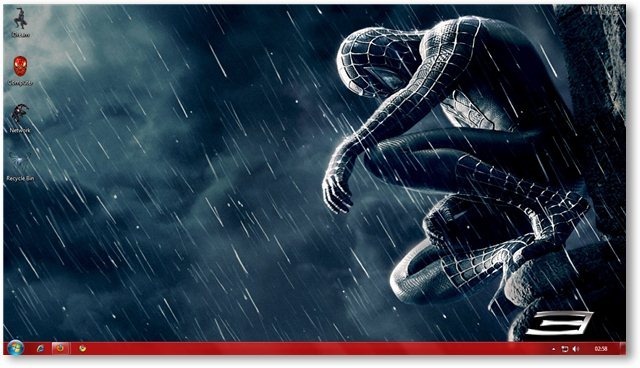 Spiderman has spawned 2 sequels and this theme is based on all three movies. Spiderman movies are always fun to watch and the special effects are fantastic with a lot of emotion and action mixed in the movie, which makes it a perfect weekend watch. 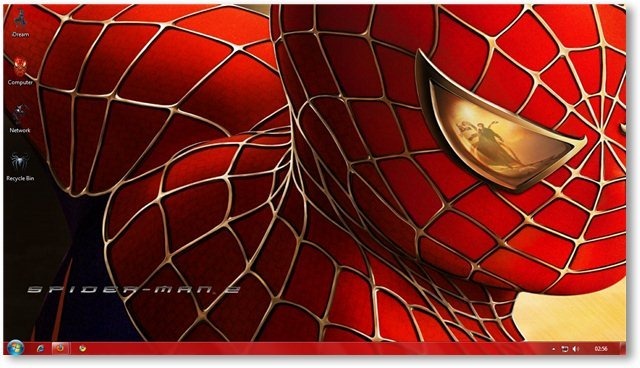 The Spiderman Themes consist of 35+ Hi-Res Wallpapers, Custom Spiderman Icons and select music and dialogues from the movie. Spidey fans would love this one. These are just a few of the 35+ Hi-Res wallpapers packed with this theme. Download the theme to get them all. Custom Icons are necessary for a complete Theme makeover. 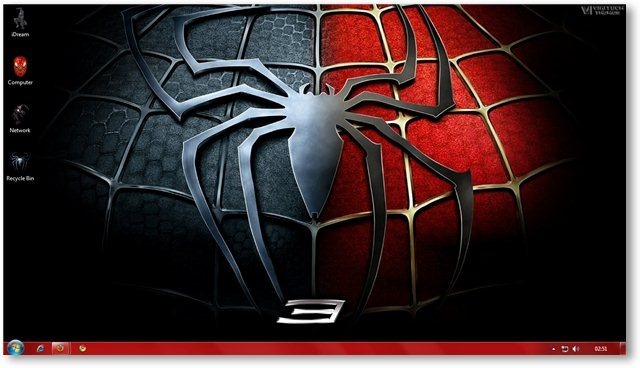 We have included custom Spiderman icons with this theme, which will replace the same old boring desktop icons we see everyday. 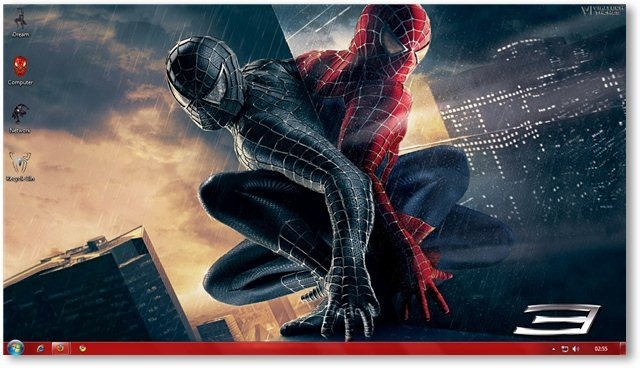 We have also included select sounds and dialogues from the Spiderman movies in the theme for a complete Spiderman experience on your desktop! 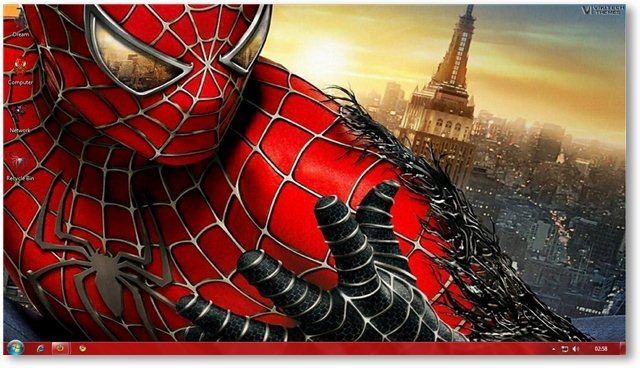 We have a dedicated download page for Windows 7 Spiderman theme. 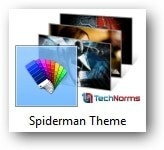 You can also explore various other Windows 7 Themes on our themes download page. 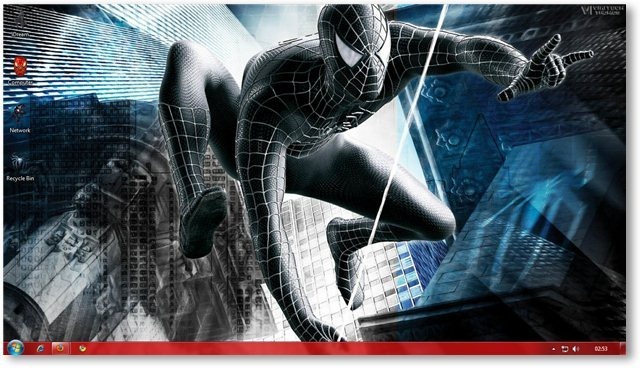 Download Spiderman Windows 7 Theme. In Spiderman 3 – It took three years to create the visual effects required to portray the Sandman’s powers. 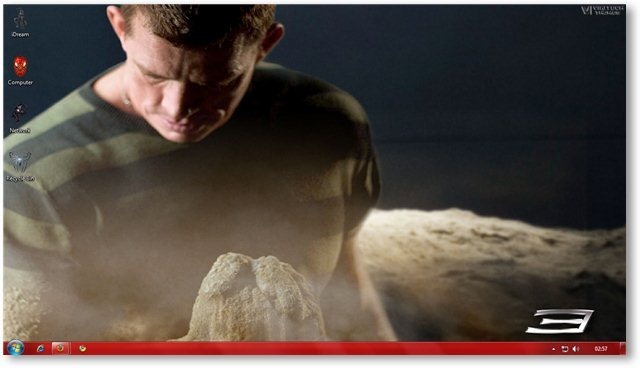 To understand the dynamics of sand, various experiments were conducted with sand (launching sand at stuntmen, splashing the stuff around and pouring it over ledges). Sand sculptors were also consulted for advice. Spiderman 3 is the only film of the trilogy not to feature Spider-Man swinging through the city at the end. 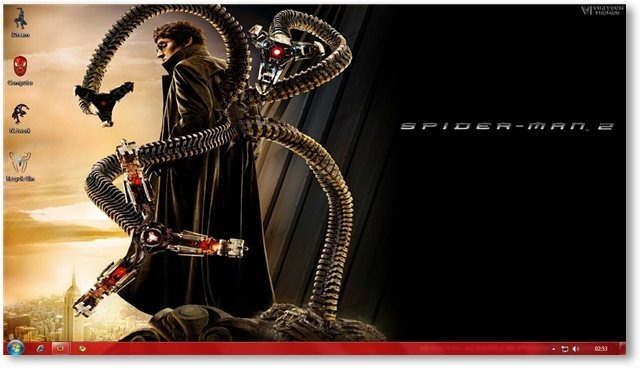 Spiderman 3 is the only film in which the Main villain (Sandman) survives at the end.